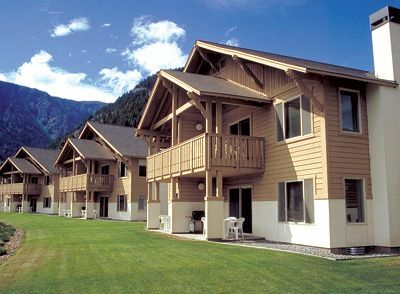 Take a step back in time with the WorldMark Leavenworth resort. Members can rent and buy units at this gorgeous timeshare, which is close to family-friendly attractions. The area has Washington winters in the 30s, and those cool temperatures combined with snowy peaks gives you the perfect excuse to dust off your old skis. Located near several popular mountains, you can take lessons from ski instructors, and you can glide down the mountain on your rented or personal snowboard. Summers are just as beautiful as the winters. Temperatures climb into the high 70s, and the warm temperature of the water will have you diving in head first. When you first see WorldMark Leavenworth, you might notice that the resort has an old fashioned theme. The funky Bavarian style of the main building and the classic architecture in the surrounding communities will make you feel like you just stepped back through time. You don't need to worry about feeling out of touch though, because the resort offers rooms with first class amenities. 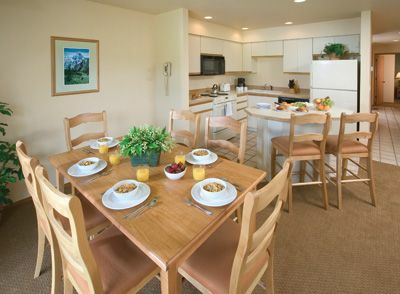 The two bedroom units have a full kitchen, where you can whip up meals for your family. The full size refrigerator is perfect for storing snacks or ingredients, and you can use the stove to create your family's favorite meals. The rooms even come with a dishwasher and sink that make cleaning up after cooking easy. The living room has a murphy bed that can sleep two people, one bedroom has two twin beds and the unit has a master bedroom with a queen bed. 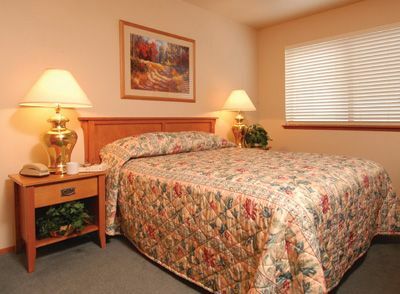 The resort also offers rooms for those with special needs. When you want to experience the big city, jump in your car, and two hours later, you're in Seattle. You can also stick close to this WorldMark resort and explore the whimsical Front Street neighborhood. The tiny local shops let you pick up authentic souvenirs and goods, including traditional clocks. The gorgeous lakes of Icicle Creek aren't far from the resort. During the winter months, you can even take an ice climbing class and join the ranks of the enthusiasts who scaled these cliffs in the past. If you love the outdoors but aren't quite ready for the cliffs, take a walk down the resort's path. You can make your way to the river, stopping to read about the area on your way down. 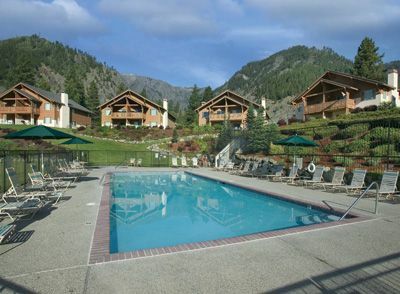 When booking a room at the Leavenworth resort, you might want to make your reservation early. The Accordion Festival brings in travelers from across the country, and many people flock to the area for the Autumn Leaf Festival. Your family might enjoy coming in December because of the amazing Christmas lights on display, or you can come during the summer to enjoy the Bavarian Bike and Brew celebration. Even if you skip the events, you can still find fun things to do on your trip. You might tour the National Fish Hatchery or check out the Nutcracker Museum. One trip to Leavenworth will open your eyes to the fun of a bygone era. 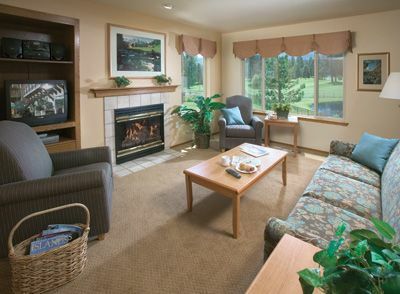 If you want to buy, rent or sell a timeshare at WorldMark Leavenworth, you have come to the right place! BuyATimeshare.com is the leading for-sale, by-owner site that brings buyers and sellers together. If you have any questions about our services, a specialist will be happy to answer any questions you may have. Contact WorldMark Leavenworth Specialist Today!